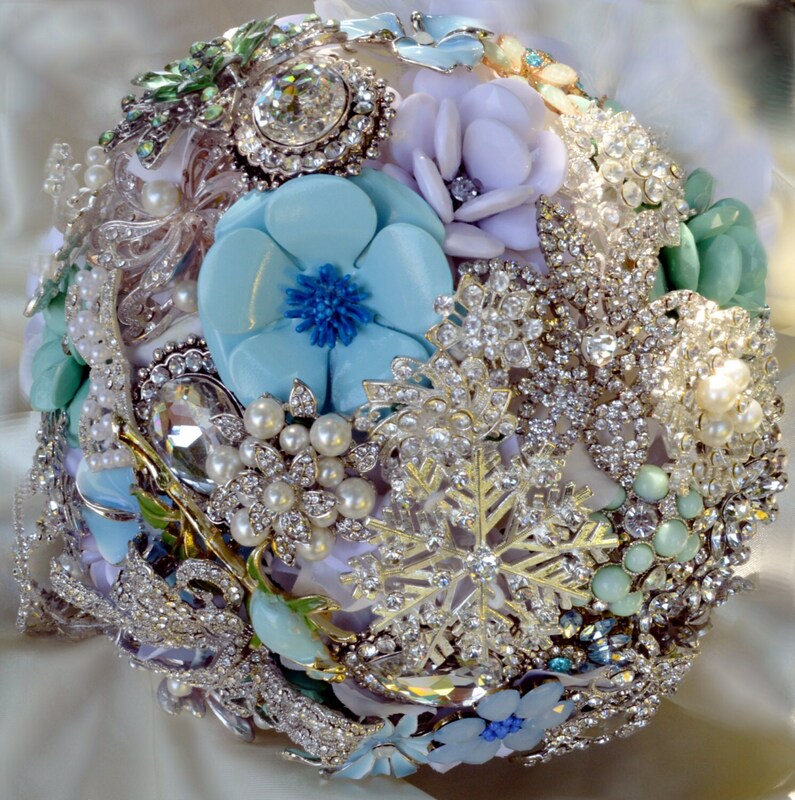 You are purchasing a READY TO SHIP as is bridal broach bouqet. 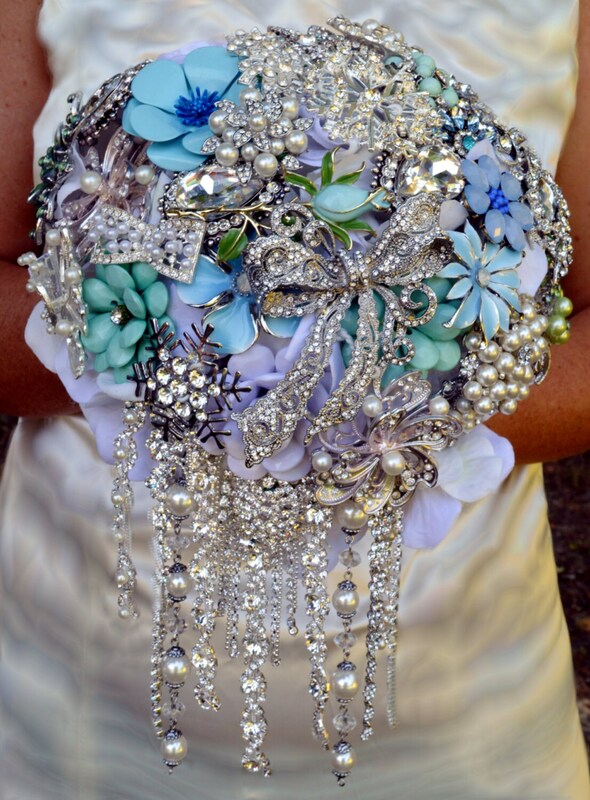 The size of this bouquet is 9" across the top of the bouquet. 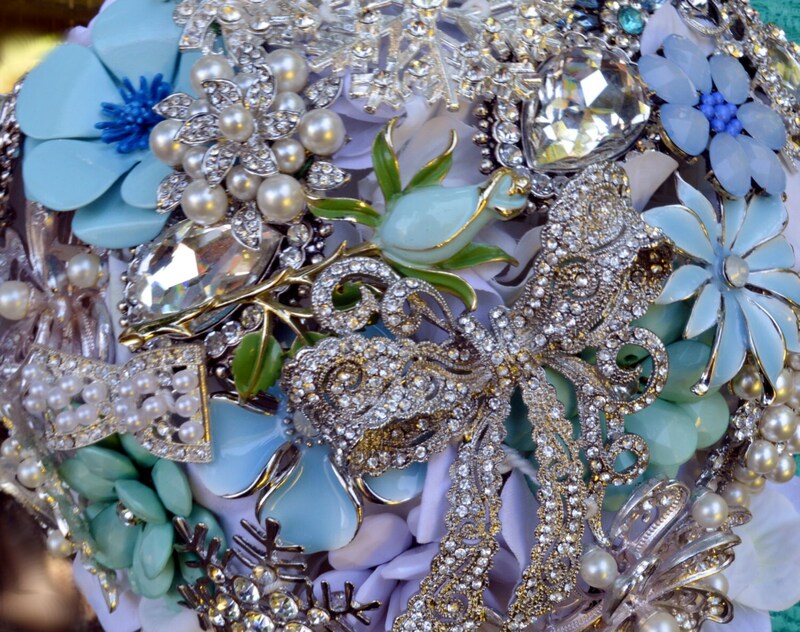 This gorgeous cascading brooch bouquet would fit perfectly in an elegant winter or spring themed wedding. 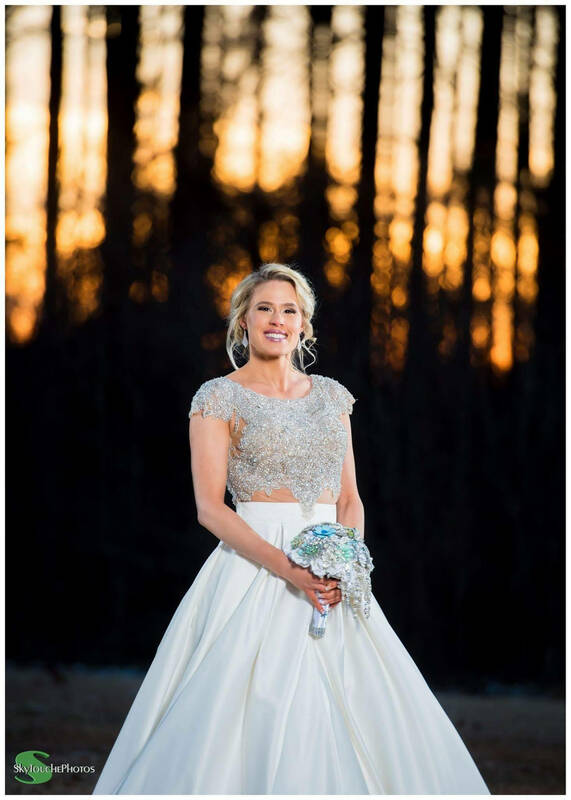 Please look at all of the pictures and convo me for more if you have any questions. Please note the $45 shipping to US listed in the "Shipping&Policies" section. 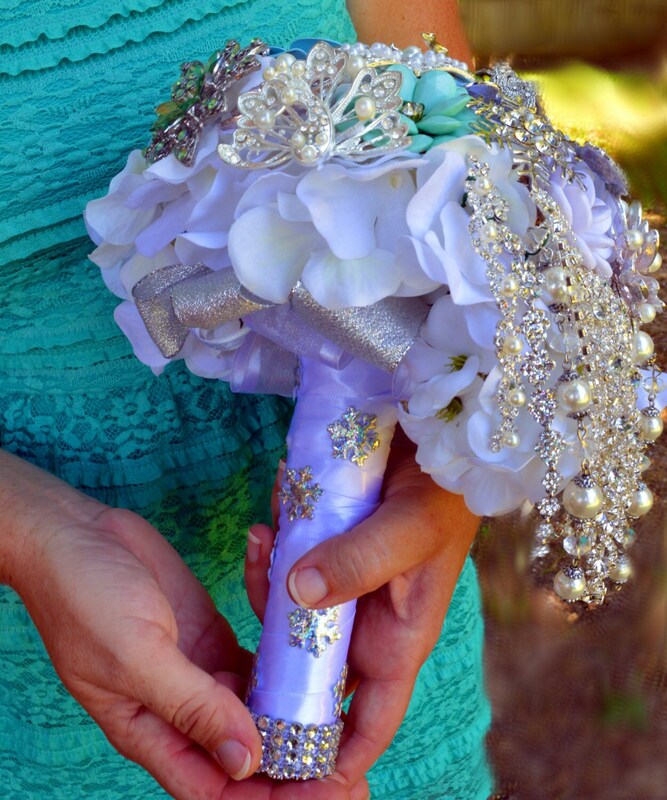 Bouquet handle can be changed (ribbon color and embellishments) per request at purchase. Please allow up to 14 days for custom update before shipping. Additional cost for materials will be required, please MESSAGE ME with any questions. Please convo me for a custom order, international shipping or other questions. Send a message if you need to also order a UV protect display case.